Ring in 2019 with all of us at The Cove! By huge popular demand, TURPIN’S TRAIL (Kingston/Perth Road Village, East Coast/Folk/Celtic) is back to perform for New Year’s Eve! Turpin’s Trail is the Kingston-based quintet of Chris Murphy, Jon McLurg, Brian Flynn and Noal St.Amand. Having played concerts and festivals across Ontario, Turpin’s Trail has shared the stage with artists such as Murray McLauchlan, J.P. Cormier, and Leahy. 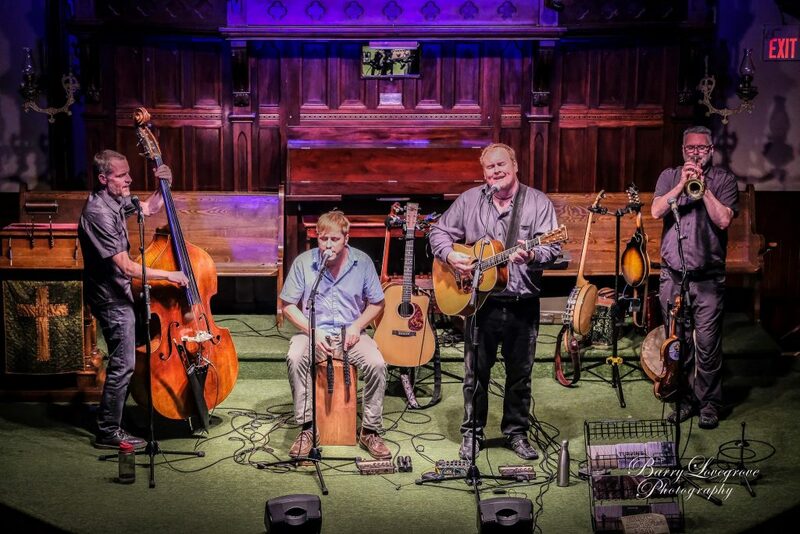 Tight harmonies and acoustic instrumental accompaniment (guitar, mandolin, banjo, Irish Bouzouki, ukulele, Bodhran) bring out the beauty and energy in their original songs and their creative interpretations of songs drawn from Celtic, folk, bluegrass, and popular music genres. Amalgamating gorgeous folklore and traditional celtic with east coast song, naturally, they are HUGE fan favourites in the Westport area and a great celebration band for New Year’s Eve! Includes Room & Breakfast @ 10am. Check in 3pm, Check out Noon. 9pm-1am Dancing to East Coast/Celtic/Folk local phenom, Turpin’s Trail!! !